Time To Revamp The Parole System In India? Many aspersions have been cast on the parole system in India and it continues to face intense debate and antagonism. Balancing individual freedom and larger social interests is the nucleus of legal policy making and an inextricable component of justice. 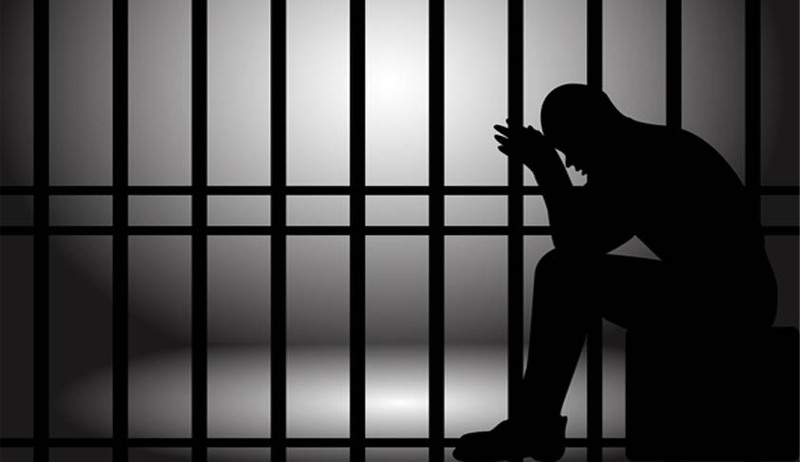 The Positivist School of thought believes in the power of rehabilitation while the Classical approach condemns the risk associated with the parole system. The parole system should lay the building blocks for the final release of the prisoner and have inbuilt safeguards to cushion the inherent risk it poses. In 2006, Belgium revamped its system through legislation to accommodate the need for a shift in the decision making power from the Executive to the Judiciary. Multi disciplinary Sentence Implementation Courts (SIC) have been set up to ensure transparency in the release and reform of prisoners. These specialized courts carry out a risk assessment of the conditional release of a prisoner to minimize threat to society while assisting the cause of social integration and liberty of the prisoners. • Attitude of the offender towards the victim. The offender is also given time to search for a means of livelihood before he is released to strengthen his chances of integration into mainstream life. Justice Assistants are appointed to supervise, follow up and ensure compliance. They can report for the revocation of the conditional release if in their professional judgment there has been failure to meet the release terms. Conditional release can be revoked on failure to comply with the condition of the reintegration plan, non attendance of the rehabilitation program’s etc. The Sentence Implementation Courts can decide to impose more stringent condition rather than revoke the conditional release after considering the report of the Justice Assistants. Thus the parole system is a complex matrix with many facets to be considered and is supplemented with a continued plan of rigorous follow up methods. The Sentence Implementation Courts act in a discretionary manner than an automatic release and each case is analyzed from the angle of the danger it poses to society. The Justice Assistants have meeting with the offender and are aware of the social, cultural and psychological background of the offender. This gives them a deeper understanding of the ability of the offender to return to social life without being a threat to law and order. Sentence Implementation Courts are entrusted with the responsibility of regularly monitoring the behavior of the offender through exchange of letters with the Justice Assistants to enquire on the attendance of the offender in rehabilitation programs, his working conditions etc. Thus, a higher level of transparency is entrusted in this method. Apart from Belgium, there are many countries where parole is given after careful analysis with structured mechanism in place. There are conflicts that arise between the Sentence Implementation Courts and the Justice Assistants with respect to recall of the offender. Interference by the Sentence Implementation Courts in the working of the Justice Assistants has been denounced by the Justice Assistants. Another disadvantage is that if the offender is of poor background then he may not be released due to fear of the social conditions to which he will return. He may lack family support and job opportunities which can lead to recidivism, thus not making the offender an ideal candidate for the reintegration program. In India, parole is essentially an act to be ratified by the Executive with the aid of prison authorities. This contradicts with the power of the judiciary to adjudicate on the issue of sentencing and release. The Executive lacks the tools to carry out a risk analysis and its discretion remains unguided. This decision is dependent on the limited reports prepared under the penal system. There is no system in India which mirrors the one in Belgium and other countries to enable a holistic approach to decision making with respect to parole. The Prison Act and rules are insufficient and do not provide for preparing of elaborate reports and understanding the psychological ability of the prisoner to return to society. In the absence of guidelines, many imperative factors to be considered are often ignored leading to repeat offenses and further crimes. Cases such as Saibanna v State of Karnataka of 2005 (commission of murder by the prisoner while he was on parole) bring to light the lacunae in our system in assessing the propensity of the convict to repeat heinous crimes and misuse parole. The accused Manu Sharma in the Jessica Lal murder case was released on parole for a period of 30 days to visit his sick mother but was found in a nightclub while his mother appeared in public functions. There are thus many pertinent questions which need to be asked. Should the Executive have the power of decision making on parole or is the judiciary a more competent authority to decide on matters of freedom of the prisoner? Should we focus on a more comprehensive plan for release than a mere mechanical and technical one? SIC have lead to a change in the functioning of the parole mechanism in Belgium from an ad hoc system to a scientific process. In India, judicial review of parole is exercised sparingly. The question remains whether India should shift focus and take legislative steps for a more empowered judiciary than the unfettered power of the Executive with respect to parole. Gitanjali Kapur is an Advocate practicing in the Supreme Court of India, after completing LLM from Cambridge University.